October is breast cancer awareness month. Kelly Donlin of sparkles and shoes compiled a lovely collection of pink items to purchase where the vendor donates some of the profits to breast cancer research. As the the former president of the West Bloomfield Chamber of Commerce in Michigan, I was excited to see a hometown boy on the cover of Forbes magazine. 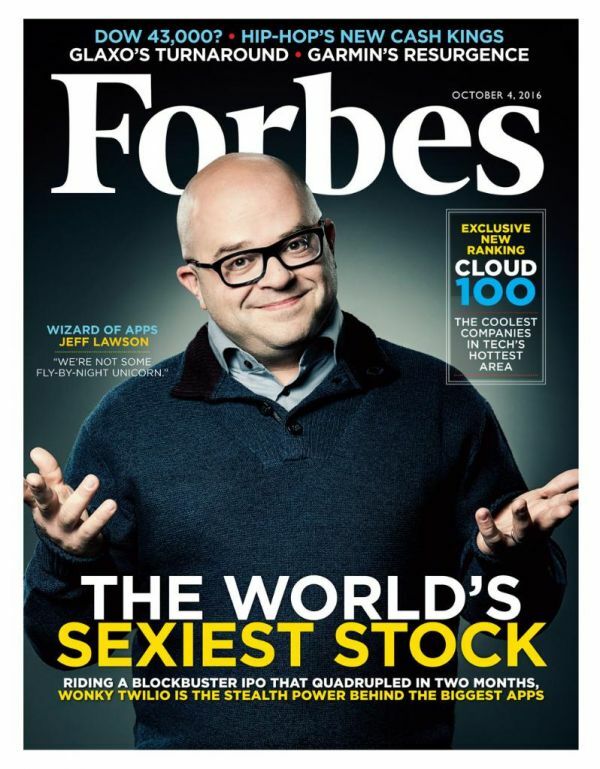 Jeff Lawson graces the cover as the CEO of Twilio. Twilio adds messaging, video and communications to web and mobile applications. As you can see, it’s touted as the “The World’s Sexiest Stock.” Some of the companies that utilize Twilio are Uber, Match and Airbnb. Jeff grew up around the block from me. Although I do not know Jeff personally, I know his parents. The fascinating article describes Jeff as down-to-earth and humble. It also describes his entrepreneurial spirit and his emotional intelligence in the business world– perfect for a motownsavvy post!